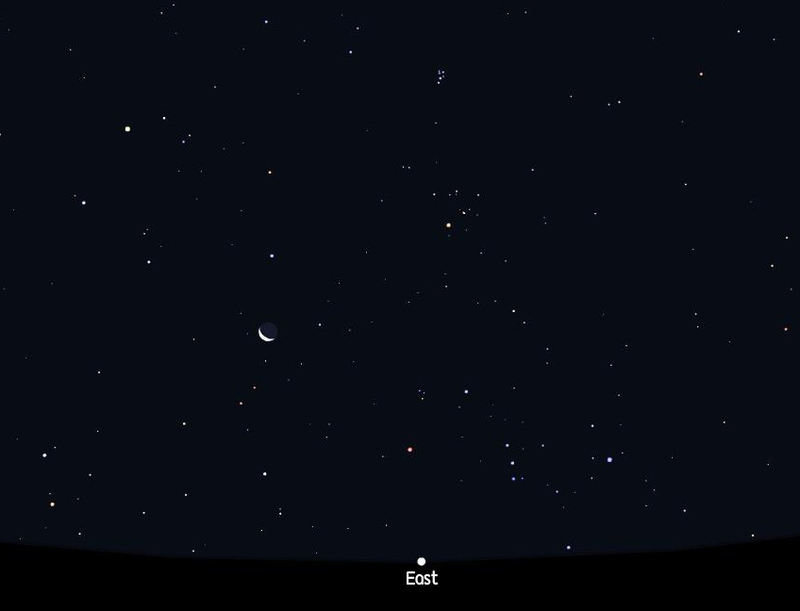 I woke up real early this morning, like, at 3:30, and looked out my window to see a beautiful, clear sky, the first time I’ve been able to see the morning stars in what seems like weeks. Some of the recent evenings have been mostly clear, but we’ve had mainly overcast morning skies for quite a while. 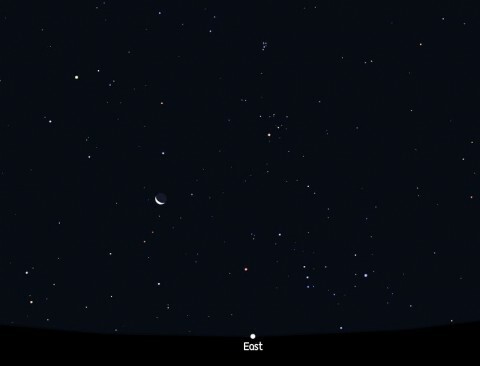 This morning, there was a beautiful, waning crescent moon rising in the east, preceded by Capella, Aldebaran and the Pleiades. Of course, just because it was clear doesn’t mean it wasn’t humid. Again, like it’s been every morning for the last month, the humidity was over 90% (95 today, according to the KMA website). Jogging is a real chore when there’s that much moisture in the air. It’s stamina-sapping, and by the time I’m finished, I’m drenched. Anyone who sees me jogging back to my apartment might think that I’ve been for an early morning swim. I managed to get in 67 minutes today, but my pace was oh, so sloowwwww. One positive aspect of losing all that water is that when I weigh myself after jogging, it looks like I’ve shed a couple of kilos! Now, I’m going to watch the opening game of a 4-game set between the Yanks and the Red Sox. Yeah, I re-subscribed to MLB-TV in order to watch the teams struggle through the dog days of August and head down the stretch in September. The Red Sox have been devastated by injuries all season and are 6 1/2 games behind the Yanks. Hopefully, the New York squad can win 3 of 4 or even sweep the series; that would pretty much leave the Sox dead in the water as far as getting a spot in the playoffs. Excuse me now while I go chug another liter of water. More later.